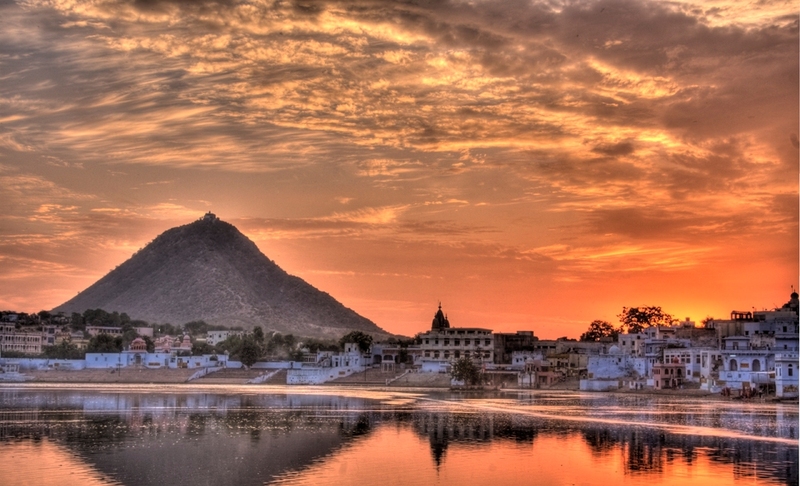 Pushkar is a panoramic city situated along the magnificent Pushkar Lake. The city of Pushkar is located just 11 kilometers from Ajmer, Rajasthan. Below are few interesting facts about this small town in Rajasthan which will blow your brain. Only Brahma Temple In India: It is said that, Pushkar is founded by God Brahma by dropping a lotus flower in Pushkar Lake. This temple is around 2000 years old. However, it is not true that it is the only Bramha temple in India. There are few more across the country. But surely it is one of the oldest! This temple was destroyed by the Mughal ruler Aurangzeb in 14th century with a dream of turning whole India into an Islamic state. But the temple was rebuilt by the local rulers and their disciples and was brought to its glory soon after the death of Aurangzeb. World Biggest Camel Fair: Camel fair is organized every year in the month of November. This camel fair starts with trading of camels and horses. At the full moon of Kartik Poornima, the cattle and camels are decorated in colorful way. Various events like camel race, mustache competition, etc. are conducted. On the last day of the fair, holy bath is taken by the pilgrims and travelers across the world in the sacred Lake. Foreign Tourists Destination: The city is scenic and the Pushkar Lake is surrounded by 52 Ghats. The atmosphere is clean and unpolluted. It is the most loved foreign Tourist destination in Rajasthan. The relaxing environment and beautiful flora and fauna make the place breath taking. Around 200,000 global travelers visit every year. First desert city of Thar: It is the first desert city of Thar. Thar Desert is the 18th largest desert region in the world. Puskar desert safari attracts many. The Camel ride and cultural activities carried out over sand dunes are breathtaking. 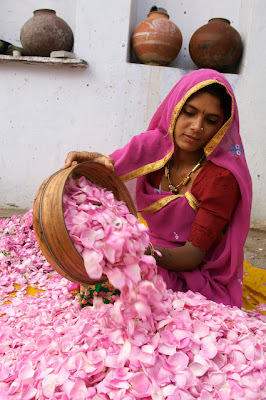 Discovery of Rose Scent: Pushkar is known for its peculiarity of roses in terms of sweetness and delicacy. Rose scent was invented by Noor-Jehan in this beautiful town. The practice of making rose scent and rose products like gulkand/ rose gem and rose water is stilled carried out daily by the locals.